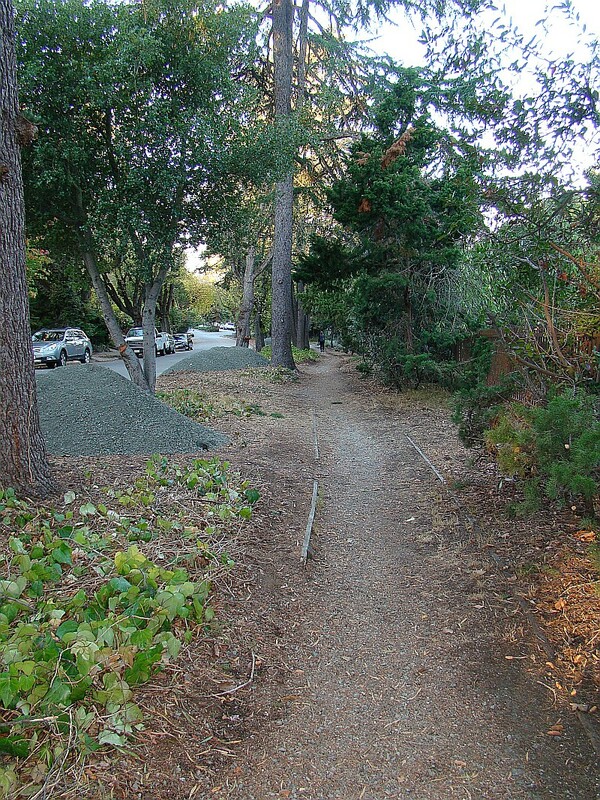 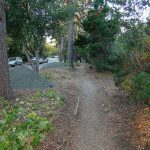 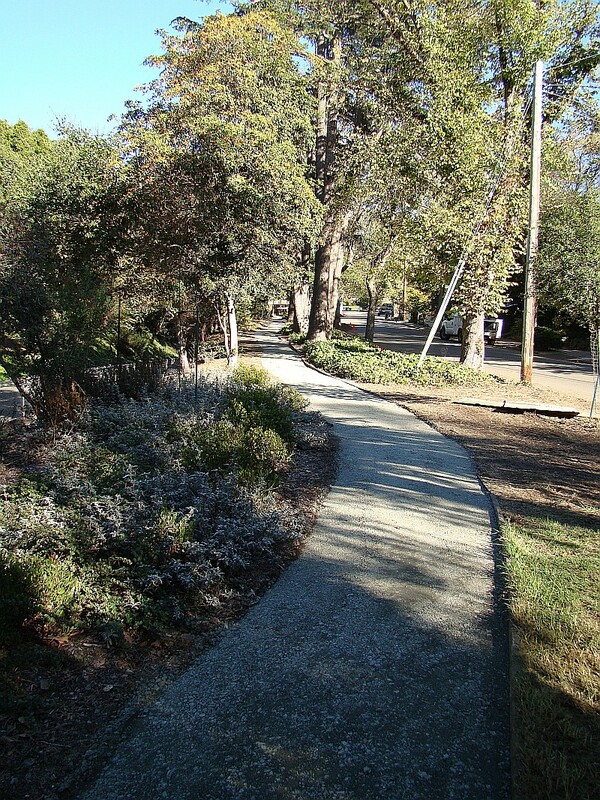 On Tuesday 28 October 2014, Pam Boland, Senior Landscape Gardener for the City, worked with Charlie Bowen of the Berkeley Path Wanderers Association (BPWA) and organized a City staff/community event to refurbish the path along the one way Los Angeles, parallel to the tunnel, that leads to Solano Avenue. 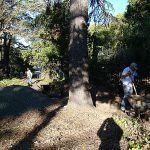 Susan Schwartz and the Friends of 5 Creeks Weed Warriors brought out a sizable contingent to clear weeds and ivy on an overgrown area near the bottom of the path. 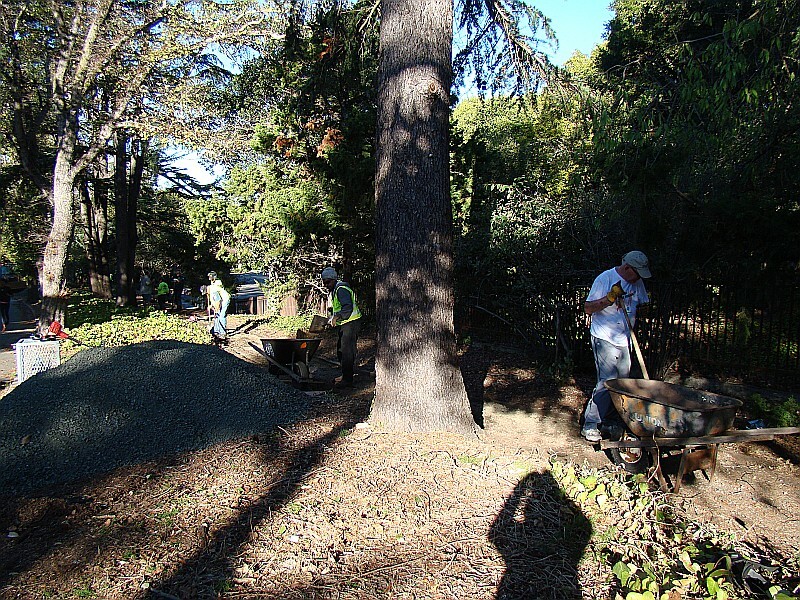 Some volunteers from Friends of the Fountain and Walk also helped out. 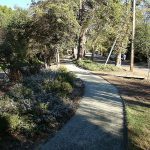 The community thanks the City, BPWA and others for such a great effort so that all may enjoy the newly refurbished path, as well as the native plants at the lower end, previously planted by Pam and the neighbors.